The 10 Best Caterers in Alabama! Why do all the work yourself when you can have your special event professionally catered? 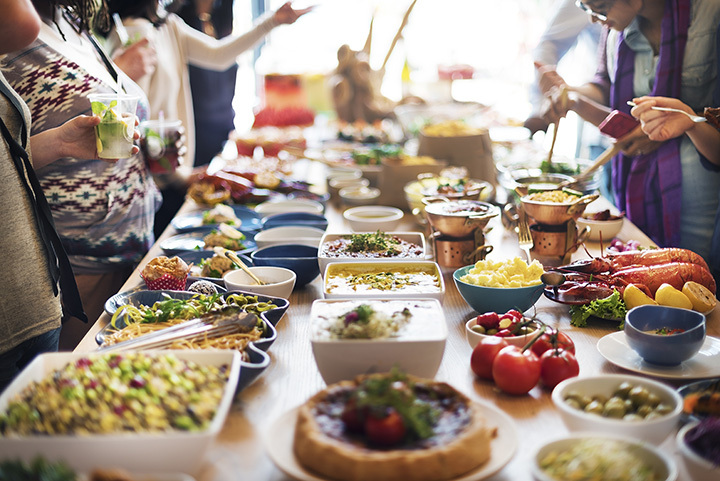 Alabama is home to some of the best catering companies you’ll find anywhere with mouthwatering food, top-notch service, and all of the details handled. Start planning your perfect event with one of these 10 best caterers in Alabama. From corporate events to weddings and social affairs, there’s nothing the Happy Catering Company can’t do. They offer custom menu items that look every bit as good as they taste. You can also count on them to help you plan all the fine details that will truly make your event a success. The weather on Friday at Vulcan was so perfect for Nichole and Sam's wedding! The guests got to enjoy food, drinks and dancing without a care in the world! This award-winning company has much to offer your next event. With a large selection of culinary masterpieces in their repertoire, there’s no such thing as a bad meal. Taste is top priority here, and you won’t be disappointed. Catering Gulf Coast events for over 25 years and counting, Naman’s knows how to throw a party. Their event planners can help you ensure no detail is overlooked. Plus, they provide an excellent variety of food and drink options to delight your guests, no matter what type of event you’re hosting. Even with top-notch food, no event is successful without careful planning. D’Armond Catering delivers both. From lavish dinners to exquisite hors d’oeuvres and everything in between, your event’s success is as important to them as it is to you. Whether you have 20 guests or 2,000 guests, Rhoda P’s can handle it all. They offer a huge selection of unique, original recipes you just can’t find anywhere else, along with all the service and expertise your event needs to be a hit. What sets Katy’s Catering apart from others is that they are integrally involved every step of the way. From the initial meeting to after the event concludes, they’re constantly working to make your experience amazing. Their fans love them because of how thorough they are, from estimating costs to arranging payment to making the food spread look at scrumptious as it tastes. Their name says it all! Their presentation is a top priority, because looks make the first impression. And your taste buds will be more than satisfied, too. They pride themselves on fresh ingredients and unique dishes that will suit any budget or event. Tyner’s Catering is all about delivering personalized service. They work with each client on an individual basis to craft the event of their dreams. They offer a wide variety of choices that are guaranteed to fit any budget. Family barbecue or black tie affair? The King’s Table Catering can put on quite a show, no matter the kind of event. They have experience catering for high end events and clientele, such as Miss America and presidential candidates, yet treat every client as their most valued. Whether you have a special event or simply want an inspiring holiday meal for your family, Joyce’s Catering is your go-to source. Fans rave about the cheese straws, cakes, and professional, friendly service that accompanies every event.